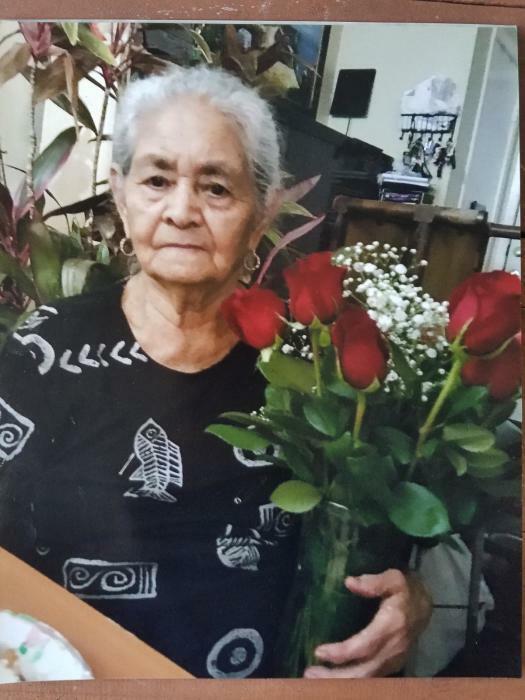 Maria Luciana Alvarenga Morales, 89 years of age, passed away on September 17, 2018. Maria was born on January 7, 1929 to Carlos and Dolores Alvarenga. She leaves to mourn her memory her children: Juan Antonio Diaz, Jose Dolores Diaz, Pedro Arnoldo Diaz, Jose Gregorio Diaz, Maria Transito Diaz, Marina Diaz, Dora Delmy Diaz, Carmen Diaz, Teresa de Jesus Diaz. She also leaves behind 26 grandchildren and 33 great-grandchildren. Visitation will be held on Friday, September 21, 2018 from 3:00 PM - 9:00 PM. at Unity Funeral Home, 7730 Boone Rd., Houston, TX 77072. Maria's body will be flown to El Salvador following visitation for burial. Unity Funeral Home extends their deepest condolences to the family at this difficult time.